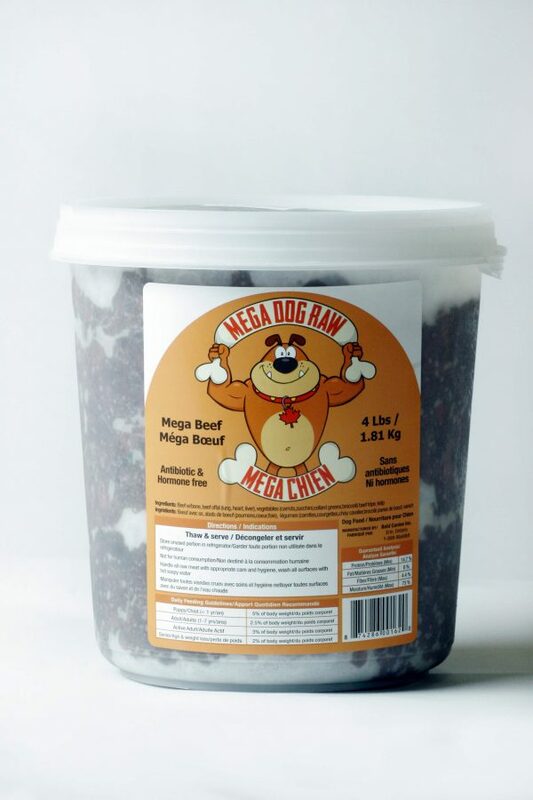 Mega Dog Raw beef is a tasty meal made up of of antibiotic-free , non medicated beef and veggies including kelp for added minerals. Perfect for large dogs or for households with multiple dogs, Mega Dog beef is an economical, healthy choice for your dog. This product contains all the necessary nutrients your dog needs for a complete diet including meat, bone, veggies, organs, tripe and kelp. All recipes contain 10% veggies. 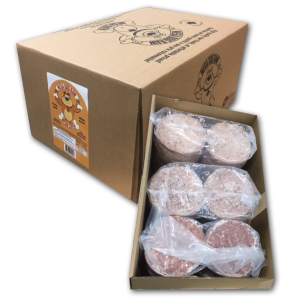 All Mega Dog products are sourced from Canadian inspected suppliers, and all meats antibiotic & hormone free.